Loveland Therapist: Foundations Counseling, LLC - Therapist 80538. Send A Message To Foundations Counseling, LLC. Foundations Counseling is the largest and most trusted private counseling center in Northern Colorado. 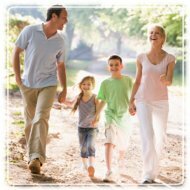 Offering counseling services in Fort Collins, Loveland, and Windsor, Colorado, our therapists rely on time-tested, proven techniques to provide the highest quality services to you. We offer caring, expert assistance in an environment built around personal respect and dignity. There are times in everyone's life when counseling can help. Certain issues or events can cause emotional distress, put a strain on relationships, or make it feel like your world is falling apart. Whether you are looking for help with depression, anxiety, communication, divorce recovery, addiction, or something else, let our experienced therapists offer you hope and healing through this difficult time. Our counselors offer a variety of specializations and work with individuals, couples, and families, ages 2 through 102. Visit our website to learn more about each of our counselors. Contact us to schedule a free consultation at one of our three convenient locations in Northern Colorado: Fort Collins Counseling Center, Loveland Counseling Center, and Windsor Counseling Center. With flexible evening and weekend hours, we make counseling convenient and accessible. We aim to schedule your first appointment within 1-2 days, so you can get the help you need as quickly as possible. Call 970-227-2770 set up a free consultation today.